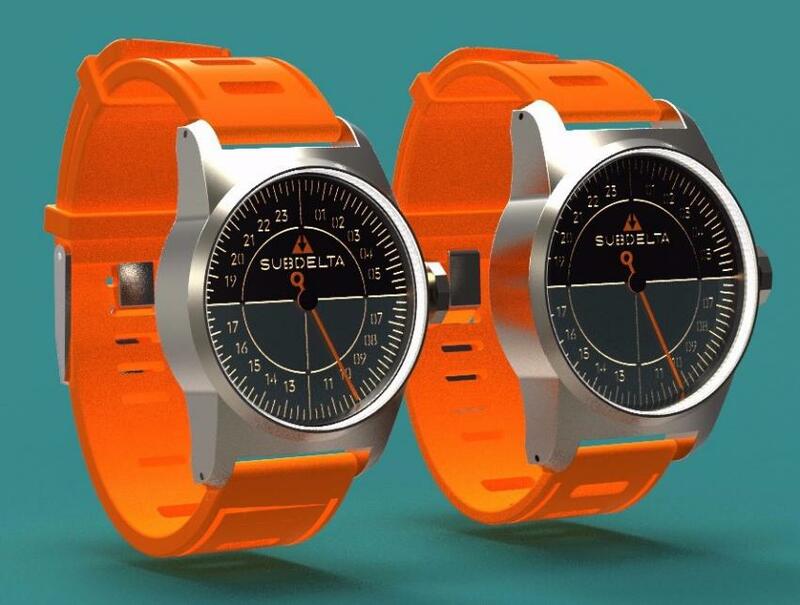 Here is an ambitious crowdfunding watch project all away from the Netherlands, the Subdelta Periscope, a 24 hour one-hand watch. It is an ambitious and bold because, unlike other crowdfunding projects that are actually made in Asia, Subdelta is aspiring to create 100 pieces handmade in the Netherlands. The guys behind Subdelta are optimistic they will be up the this challenge as this is not their first project, it is the same team that built the non-profit P1lot One, a titanium hand-wound flieger. 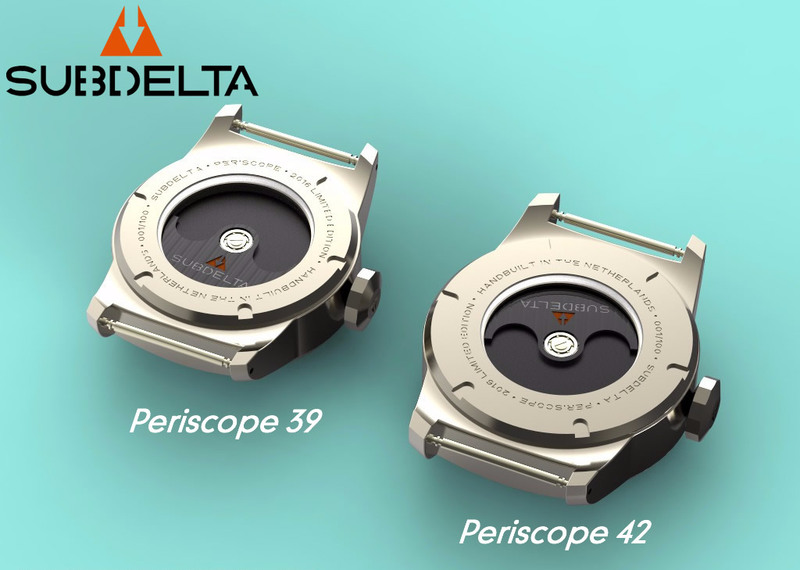 Titanium is their material of choice for the Periscope case too, which will come in either 39 or 42 mm. As this project is inspired by timekeeping on a submarine, where long periods of time can pass by without the crew having access to daylight, the Periscope has a 24h dial with one hand. This functionality is made possible thanks to the SUB 2624-1 automatic calibre which is a heavily modified Petrodvorets 2624 (Raketa). The Periscope will be shipped in a Nanuk case, including a black leather strap and a rather Dutch orange Isofrane “1968” rubber strap with Retro Sicuro buckle. For non-EU customers, the early bird price is €1,240, including the shipping worldwide. The back of the Subdelta Periscope.